Can light therapy slow the progression of Parkinson's disease? Light therapy is a tool of both the past and the future. In the Middle Ages, one reason people went to church was that they believed they could be healed by being bathed in the colored lights that shone on them through the stained glass windows. In ancient Egypt, rooms were designed to break the sun's rays into the various colors of the spectrum to help heal the body and mind. Turns out, they were actually on to something. Today, light therapy is the subject of scientific studies and theories. It has become more sophisticated and is becoming more accepted in the healing community. I first incorporated light therapy in my massage practice in the mid-1970s and wrote about it in my newsletter in 2001. Then I spoke about it again in an article in February 2012. That's when I talked about the Personal Relief Assistant (PRA) developed by Dr. Robert Milne, MD, of Las Vegas (702-385-1393). His device combines microvibration, light, sound, and magnetic therapies. It reduces pain and increases energy. I've used the PRA numerous times on myself and on friends and have been constantly surprised by and pleased with its results. Color therapy works. But you don't have to take my word for it. NASA has found this to be true as well. In fact, what is now known as low level light therapy (LLLT) is a technology developed by NASA. It was initially used to stimulate plant growth in space. Researchers explored the use of LEDs to produce light without heat in order to grow plants and found that this technology also helped heal injuries astronauts sustained in space. Usually, injuries that occur in space don't heal until the astronauts return to earth and begin experiencing gravity again. You may have heard that osteoporosis is a consequence of living in space. So is muscle atrophy. This is because human cells need gravity to stimulate growth. But both of these conditions improved dramatically when NASA exposed astronauts to the near-infrared light of specific wavelength frequencies. The wavelengths used in LLLT are critical. Contrary to what you might think, low frequencies appear to work better than the same wavelength at high doses. In this case, more is not better. In fact, it can even be harmful. Wavelengths between 780 and 950 nm penetrate deeply into tissues and are ideal for directing light to the brain. At these levels, LLLT stimulates ATP (energy) production in the cells as well as low levels of reactive oxygen species (ROS), which encourage cell growth. Low levels of LLLT may also stimulate beneficial release of nitric oxide. It's especially noteworthy that these low doses can help provide relief for neurodegenerative disorders, such as Parkinson's disease. Currently, drugs exist that can help improve the symptoms of Parkinson's disease, but nothing is able to slow its progression. However, research has shown that light therapy at low doses improves symptoms of Parkinson's disease. 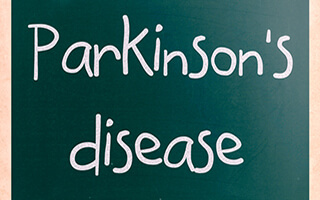 Because light therapy seems to target some of the underlying issues that lead to Parkinson's disease, such as oxidative stress and mitochondrial dysfunction, researchers are hopeful that this treatment may hold promise for affecting the progression of this devastating disease. I've discovered a device using 810 nm that is being used to reduce inflammation in neurological conditions. It's the Vielight, made by MedicLights Research, a Canadian company. They have taken LLLT technology and boosted its effectiveness with a specific wavelength and a delivery system that gets light into the brain. If you or a loved one is suffering from a neurological issue such as Parkinson's disease, consider giving this device a try. I've seen it have very positive effects. You can get the Vielight 810 for $599 by calling 855-875-6841. Mention this article and they'll waive shipping charges. If it doesn't work for you, send it back for an 80% refund. I know of no other devices that will give you any refund. Since the Vielight can't be re-sold, this is a very generous offer.